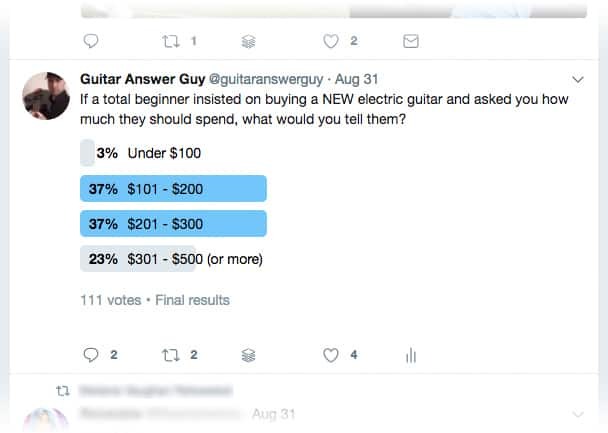 A Twitter follower once asked me what electric guitar I’d recommend for a beginner with a max budget of around $200 total (for guitar, amp, tuner, etc.). So, I wrote a blog post for her where I recommended two all-in-one “starter packs” that are a great value for someone with such a low budget. The guitars in those starter packs are worth around $150, give or take. So, here I’ve compiled my list of favorite guitars that currently average $300 or less on Amazon. They’re definitely a cut above “entry level” in terms of quality and tone, and some people might even classify them as “midrange” guitars. Don’t be fooled by the lack of reviews for this guitar on Amazon. Dean makes some really solid guitars, they just happen to be a less popular brand than the other big names. I love this one because you’ve got 2 humbuckers for powerful rock and metal tones, but you get additional tonal versatility thanks to a push/pull coil tap. So, the C350 definitely isn’t a one trick pony. The flame maple veneer adds a nice finishing touch. The C350 is available in 5 other great colors too, so search around Amazon a bit to find the one you like best. I’ve actually heard owners of this guitar say “I don’t know why anyone would ever pay the high price tag for a Gibson Les Paul.” They loved their Epiphone LP100’s that much. If you like the Les Paul look and sound, here you get a very well made guitar with the same great tonewoods used in the more expensive models: mahogany, maple, and rosewood. If you like the traditional look of a Fender Stratocaster, but want something a bit more modern with a little more output for heavier blues, rock, and metal tones, the ESP LTD SN-200HT is a fantastic value for the money. You’ll get a great range of tones thanks to the humbucker in the bridge position, and two single coils in the middle and neck positions. If you love the Telecaster look and sound, then here’s a great entry level Tele for beginners. In fact, “entry level” really doesn’t do this Telecaster justice. I’ve considered buying this exact model for myself–for times when I need to record some true single coil tones. If country twang is your thing, this is the guitar to get started with. But the Telecaster isn’t a one-trick pony. Plenty of rock (and even metal) players have used Telecasters over the years. Swap that bridge pickup with a single coil-sized humbucker and you’ve got a guitar that can do rock and metal with the best of ’em. If you have your heart set on a Stratocaster, but can’t justify shelling-out $600 or more for the USA-made Standard Strats, the Squier Standard Stratocaster is a great place to start. Unlike the even cheaper Strats that are included with Fender’s “starter packs,” this guitar is a definite step-up in quality and features a more modern take on their traditional bridge. I personally prefer this bridge style over Fender’s traditional/vintage 6-screw bridges. I played a hollowbody Ibanez almost exactly like this Artcore back when I was studying Jazz guitar in college. For the aspiring Jazz beginners out there, this is the guitar to start with if you’re wanting to stick closer to the “traditional” Jazz-type guitar without spending a fortune. However, make no mistake, this isn’t just a Jazz guitar. With 2 humbuckers you’ve got plenty of muscle for Blues, Rock, Rockabilly, etc. The first “real” guitar I ever bought for myself as a teenager was an Ibanez RG much like this one, and I played that guitar for almost 10 years before buying yet another Ibanez RG. Note that this model does not have a tremolo, which means great tuning stability and fewer headaches when it comes to changing strings, tuning, and setup. However, you won’t be able to perform any crazy whammy tricks, so be sure you’re okay with that. Mahogany body, two hot humbuckers, jumbo frets, and an ultra-stable 3-piece maple neck. Hard to beat at this price point. Love it. Yowza, here’s another excellent guitar for rock and metal beginners. It’s similar in some ways to the Ibanez RG (a fast, thin neck, jumbo frets, 2 humbuckers, and a 3-way switch), but has some important differences. This guitar sports a compound radius fretboard, carved quilted maple veneer top, Les Paul-style bridge, and a bound fingerboard. Very classy appointments that aren’t often found in a beginner guitar. Jackson makes amazing guitars, and this one’s a beauty. Continuing with the rock and metal theme we’ve got going, we come to the Schecter Omen 6. At the time of this writing, the Omen 6’s price on Amazon is about $50 cheaper than you’ll find anywhere else. I hope that continues long after I publish this, because the Omen 6 is an amazing guitar and finding it under $300 is a steal (and may not last long). 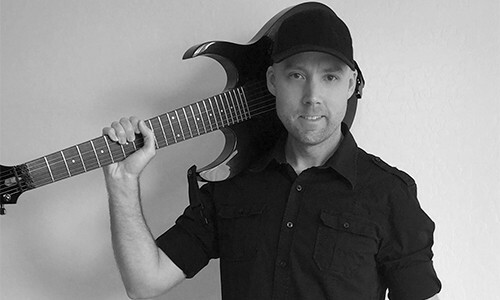 For many people, Yamaha isn’t a brand that immediately comes to mind when they hear “electric guitar.” Yamaha’s artist roster isn’t filled with many high profile endorsers nor is the Pacifica carried by the big online retailers. This is a shame and why (in my opinion) the Pacifica is one of the most underrated electric guitars available today. It’s a guitar I wish more people knew about: the PAC112V is very well made, sounds and feels great, and is suitable for a number of styles thanks to its H-S-S pickup configuration and 5-way pickup selector. When it comes to reviews on Amazon.com, one thing that burns me up is when someone gives a guitar a negative review because it arrived with what they perceived as defects: things like string buzz, high action, and I’ve even seen people complain that the guitar was out of tune when it arrived. These negative reviewers don’t understand that their guitar arrived exactly as most mail-ordered guitars arrive: out of tune and probably needing a full setup by a professional guitar tech. That’s just the reality of the world we live in: mail-ordered guitars are rarely setup properly before they’re shipped, and even if they are they can get knocked out-of-whack during shipping. So when your guitar arrives, know that it’ll probably be out of tune, might buzz a bit, and it may need a full setup to play its best. Very seldom are these things the result of a defective or damaged guitar. What About Guitar Mobile Apps and Effects? 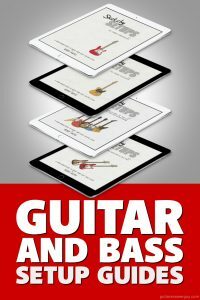 Another option would be to instead buy a mobile guitar interface and download one of the many guitar apps available, but I typically don’t recommend this for beginners. These apps are very robust, and can be a little overwhelming for someone just starting out. 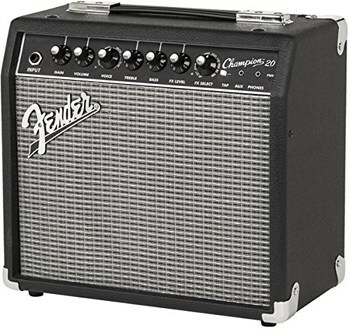 First learn how the controls on a real amp affect your tone. Once you’ve grasped these basics (and acquired some basic guitar skills), you can think about buying some fancy apps and effects. However, if you’re the adventurous, tech-savvy type, my favorite iPhone/iPad guitar app is JamUp (there’s also a paid “Pro” version) available. Remember, you’ll first need a mobile guitar interface to be able to plug your guitar into your phone and use these apps. 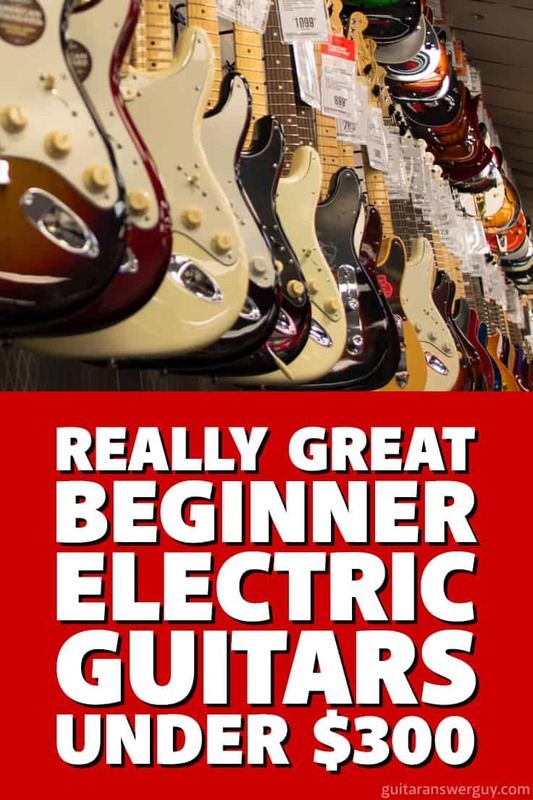 I don’t think beginners should spend a ton of money on their very first electric guitar. However, around the $300 mark you have a lot of options for really great entry level electrics. So, if you’re a beginner with a little more cash available, I say skip the “starter packs” and buy some good, solid gear to begin your journey. Choose from this list and you won’t need to upgrade for many years. If you know of a great guitar under $300 that I left off this list, let me know about it in the comments down below. I’ll check it out and maybe add it to the list here. Another exceptional bit of advice! Well done!! !